Cervical Laminectomy: procedure to relieve pressure from nerve roots or spinal cord by removing specific piece of bone. Cervical Laminectomy is a procedure that relieves pressure from either the nerve roots or spinal cord in the neck by removing the lamina. Lamina is the roof of bone over the back of the vertebrae, and -ectomy refers to the surgical procedure to remove a section of the bony roof, thereby taking pressure off the spinal cord or nerve roots. It alleviates the symptoms of spinal stenosis. Spinal stenosis is a disorder that causes spinal cord to become compressed inside the spinal canal. Patients who have cervical stenosis are potential candidates for this surgery. Spinal stenosis occurs when the spinal canal narrows, putting pressure on nerve roots and the spinal cord. This surgery relieves this pressure by removing a section of bone from the rear of one or more vertebrae. Cervical Laminectomy may also be suggested for patients suffering from these conditions. What are the steps involved in Cervical Laminectomy? The usual procedure for a Cervical Laminectomy includes the following steps. The patient is given general anesthesia and is positioned to give the surgeon access to the rear of the neck. The surgeon makes an incision of about three to four inches long. The neck muscles and tissues are dissected to expose the back portion of the vertebrae, called the lamina. The surgeon then uses a high-speed burr to make a rectangular trough in the lamina on both sides right before it joins the facet joint. The lamina is then removed. The removal of the lamina allows spinal cord to float backward and gives it more room, therefore, relieving the stress on nerve roots. The surgeon also removes any bone spurs. Ones the lamina and bone spurs have been removed, the surgeon then creates a fusion to stabilize the cervical spine. 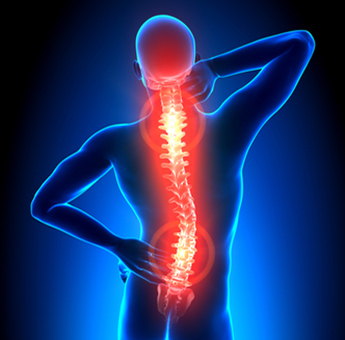 Screws and rods are implanted to lock the spine in a natural position. Sometimes bone grafts are used to promote the bone growth that will complete the fusion. The muscles and soft tissues are then put back in their places. The wound is closed by stitching the skin together. The wound is cleaned and the bandage is applied. Most of the patients are normally able to get out of bed within one or two hours after the surgery. The surgeon may recommend you to wear a soft neck collar. You will be instructed by the physician to move your neck only very carefully and comfortably. Many patients leave the hospital the day after surgery. They are allowed to drive within one or two weeks. They usually go back to lighter work within four weeks and they can perform heavier work and play sports within two to three months.